THE NEXT GEOMAGNETIC STORM: Minor G1-class geomagnetic storms are likely on Dec. 1st when a stream of solar wind hits Earth's magnetic field. 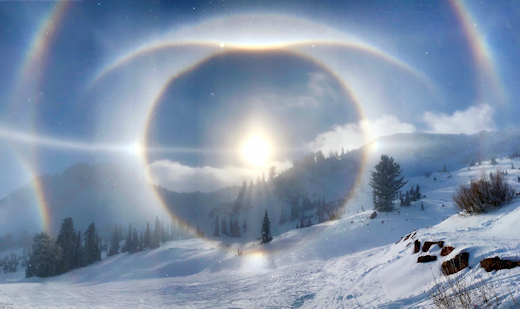 The gaseous material is flowing from a large hole in the sun's atmosphere. This is a long-lasting hole that has lashed Earth with solar wind about once a month since July. 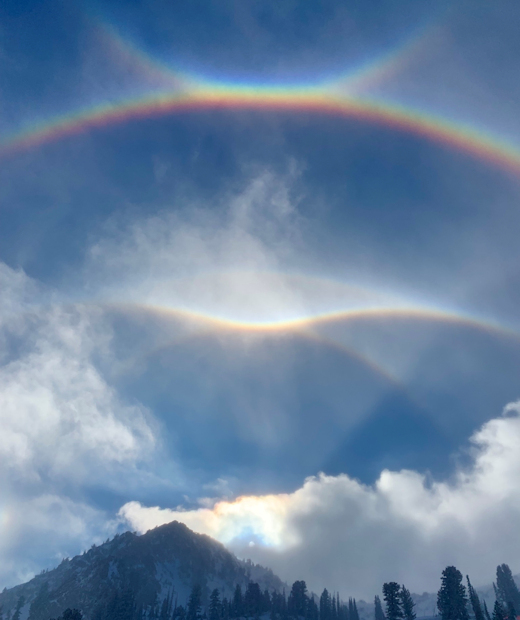 The last time it happened on Nov. 4th, auroras were sighted in US states including Wyoming, Montana, Iowa, Washington, North Dakota and, of course, Alaska. It could happen again this weekend. Free: Aurora Alerts. "The comet is currently gliding through the southern constellation Fornax," says Rhemann. "If you look carefully at the image, you can see galaxy NGC 922 near the comet's head, and another galaxy ESO 479-2 on the left." 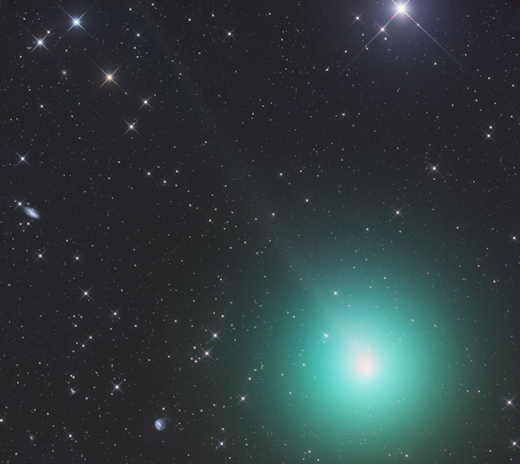 Rhemann says that the comet's emerald green atmosphere is 50 arcminutes wide. In other words--almost twice as wide as a full Moon. Its apparent diameter could double in the weeks ahead as the comet comes even closer. Because Wirtanen's brightness is spread over such a wide area, it is diluted just below the limit of naked eye visibility, with a current magnitude near +6.0. We don't yet know if the comet will ultimately become visible to the unaided eye--but it will certainly be an easy target for binoculars and backyard telescopes in December. 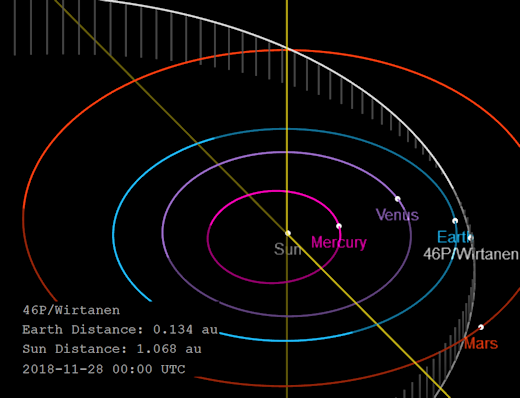 Comet Wirtanen passes through the inner solar system every 5.4 years. Right now it is just below the orbit of Earth, and the gap is narrowing. Click on the image above to explore the comet's approach, courtesy of NASA/JPL. Are you new to comet photography? Tutorials are available from award-winning astrophotographer Damian Peach. On Nov. 28, 2018, the network reported 60 fireballs. On November 28, 2018 there were 1936 potentially hazardous asteroids.